Tag Archive | "Hyped for Halftime"
Blake Shelton helps kick off Pepsi’s “Hype Your Hometown” program in Corpus Christi, TX. 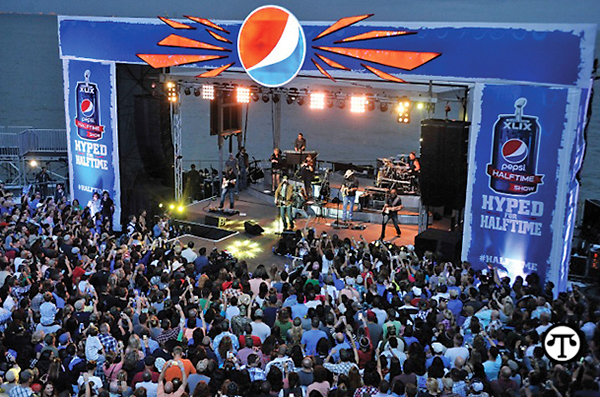 Fans who visit Pepsi.com/halftime and share how they get hyped for halftime will be entered to win tickets to the Pepsi Super Bowl XLIX Halftime Show in Arizona and a Pepsi halftime extravaganza in their hometown. (NAPS)—This holiday season, don’t forget to add your hometown to your gift giving list. Thanks to Pepsi and its “Hyped for Halftime” Super Bowl campaign, you could win a Pepsi Halftime Show for your entire hometown along with scoring tickets to the Pepsi Super Bowl XLIX Halftime Show live in Arizona. As you count down to Super Bowl XLIX, Pepsi’s “Hype Your Hometown” contest will bring excitement and the spirit of a Pepsi Halftime Show to unexpected places, including a very special hometown. Here’s how it works: Visit www.pepsi.com/halftime, register by specific location, and share a photo or video of yourself demonstrating how you get “Hyped for Halftime.” Showcase your best touchdown dance, paint your face with the colors of your hometown team, grab your friends to film your version of your favorite halftime performance or share your pet’s funniest party attire—the only requirement is your Hometown Hype! And hurry…the contest ends on Dec. 27. 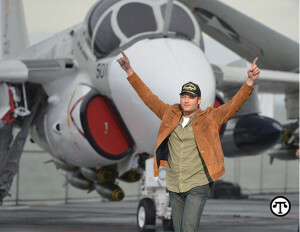 Blake Shelton lands on the USS Lexington in Corpus Christi, TX to deliver a surprise performance to America’s veterans to launch Pepsi’s “Hype Your Hometown” campaign—a call to action for the chance to win a once-in-a-lifetime halftime experience. By showing off your hometown hype, you could walk away with tickets to the Pepsi Super Bowl XLIX Halftime Show in Arizona to watch global superstar Katy Perry perform, along with bringing a Pepsi halftime extravaganza directly to your hometown prior to the game. Already in the spirit of halftime, Pepsi recently brought the hype to America’s veterans on the USS Lexington in Corpus Christi, Texas, with a special performance by country music superstar Blake Shelton. 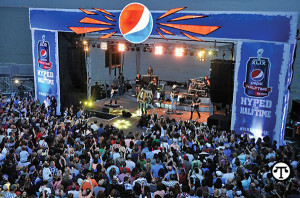 To find out how you can unlock the spirit of halftime for your hometown, visit www.pepsi.com/halftime. May the most hyped hometown win!